C&NW lives on the nose of UP 6707, an AC4400CW delivered in November 1994 as CNW 8805. According to Don Strack's utahrails.net, the unit was patched to its present number on June 15, 2001. 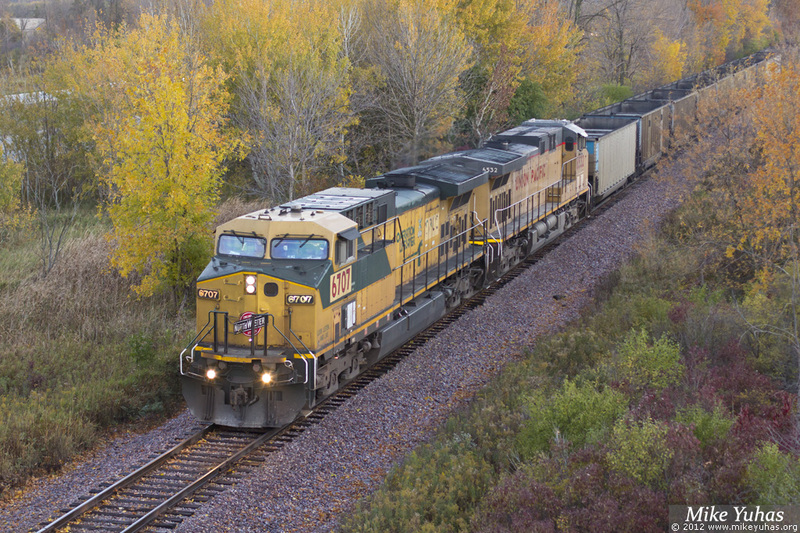 It is shown leading an empty Sheboygan hopper train southward on the Shoreline Subdivision in Mequon, Wisconsin.